“I consider this event as a serious threat to national security, public order and a threat to our very own image”. 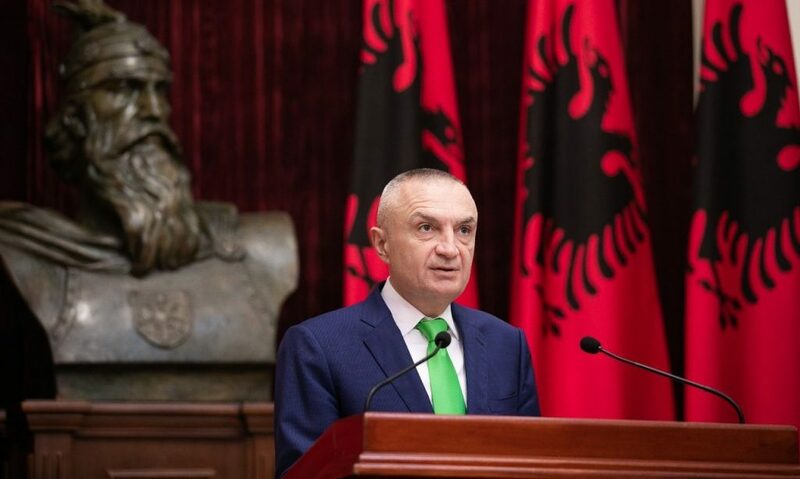 This was the statement made yesterday by President of Republic, Ilir Meta who officially reacted about the robbery of millions of euros in Rinas airport. In a public appearance, the head of the state considered this as unacceptable. According to him, this shows a lack of responsibility. Meta went even further by reminding public opinion that the country is a NATO member and as such, it should offer security. “The fact that such event takes place in a location where the level of security is high, is unacceptable. As a NATO member country, we have the obligation to guarantee a higher security standard”, the president said. On the other hand, the head of the state also said that as head of the National Security Council, a year ago, in May 2018, he had a meeting with law enforcement agencies to discuss the issue of security at Rinas airport. According to him, institutions were given specific tasks in order to boost security levels in the only international airport that the country has. The president also said that institutions must reprehend the perpetrators of this heist as soon as possible and also recover the amount of money that was stolen. Meta said that those agencies and those officials who have not taken adequate measures to prevent this should face the consequences. “All responsible agencies must conduct a full investigation in order to shed light upon this serious event. Every agency which has not taken adequate measures to prevent this from happening, should be held accountable to the full extent of the law”, Meta said.